Newton can't prove anybody wrong. No theory is dependent on the words of any one person. Newton was also an alchemist. The earth in its rotation around the sun carries him with the prodigious speed of nineteen miles per second . . . . . But for some reason you disagree with Tesla - was Nikola Tesla wrong about the shape and motions of the earth? It takes a single counterexample to invalidate a hypothesis. A pressure on an object will add a force to the object. This force will depend on the objects area. The acceleration of the object will depend on this force and the mass of the object.. This is not see by objects in freefall. Objects in freefall fall at the same rate regardless of mass or shape. You really need to learn how to use the "Quote facility" so that you victim is identified. Rubbish, of course "Objects in freefall fall at the same rate regardless of mass or shape". Try dropping objects dense enough to be negligibly affected by air resistance. Or dropping any objects in an extremely low pressure chamber. Which means you are trolling the upper forums as usual. Incorrect, that would be your presenting arguments totally contrary to well accepted physical laws. It takes a single counterexample to invalidate a hypothesis. Newtonian gravity is no longer the accepted theory for gravitation. You need to advance a few years. What is interesting is that Einstein's GR can be solved using the Schwarzschild metric for the case of a small object (say a rocket, a satellite, an aircraft, a car, you, I or a ball) travelling at a velocity much less than "c" near the surface of a massive object (say the earth). This solution then ends up with simply Newton's Laws of Motion and Gravitation, and includes even centripetal acceleration and the Coriolis effect. Hence Newtonian solutions are perfectly acceptable for velocities up to at least c/1000 and even for masses well above the earth's mass, though this depends on the precision one needs for the answer. The gravitational potential energy equation for rockets is based totally on Newtonian gravity. That's no problem! For all practical purposes GR and Newtonian Gravitation end up with the same result. If you think that post says anything about "claiming satellites sit on tables" you reading comprehension score is about -5 out of 10. Just check out that post to see the Ignorant Deceptive Voodoo Priest again trying to deceive everybody, as it always does. But what can we expect? Papa Legba is well known for being a trickster and deceiver. Gravity not forcing Physics Book down. Gravity not forcing Satellite in orbit down! But an Ignorant Deceptive Voodoo Priest could not be expected to understand the difference. So, run away and attend to the Voodoo Priestly rituals that you've been neglecting while trolling here. And gasses follow the path of least resistance from higher to lower pressure. Why do gasses move from higher to lower pressure. Hint: It has something to do with forces acting on the gas. Extra Hint: If a force acts on the gas, what does newtons third law tell us? Extra extra hint: For anything to move away from something containing it, it has to accelerate away. But what can we expect? Papa Legba is well known for being a trickster and deceiver! The posts prove that you lie and contradict yourself about the most obvious and provable effects of gravitation. You are a timewasting AI algorithm. And, as usual, you posted another reply whilst I was writing this one. You did this to waste yet more of my time. You also contradicted yourself again in it. Funny how you know I am online and writing replies, is it not? Something a bot would be perfect for. If something is sitting stationery, then it moves away from something, clearly it has gained velocity. I'm practically telling you the answer, come on. How was I supposed to know that the Idiotic Paranoic Delusional Voodoo Priest was writing a post? I have no idea whether you are writing posts or practising your usual Voodoo Witchcraft. Though it's rather obvious now that you really are an Psychotic Paranoic Delusional Voodoo Priest. A Psychiatrist would probably decide that his professional diagnosis was that you were "Stark Starin' Bonkers". Should we pass the hat around to pay for some professional help to assist your recovery from this Paranoic Delusional Psychosis you now seem to be suffering from? The usual time wasting waffle and personal abuse from an obvious AI algorithm that contradicts itself in the space of one post and does not know gravity forces things down. This is all it is programmed to do. The rocket and satellite equations of motion are much more complex than the thrust formula. How about you deal with your earlier failures before moving on. Do you accept you were wrong regarding the thrust equations? If so, are you going to admit that? If not, are you going to defend your claims? Or better yet, quit with this off topic tangent (which is just you spamming now, leading the thread further off topic) and deal with the OP. Yes, that does seem to be all you are capable of doing. Now how about you address my posts explaining why you are wrong (I see you completely ignored it this time, did you run out of excuses? ), or better yet, tell us what causes the curve in the image in the OP? How about you stop wasting my time asking me to repeat things I already did? Oh, you will never do that, because you are a time wasting AI algorithm. Poor Pathetic Papa controlled by FE strings. PS You never had any : credibility , so I guess it's no loss to Mr Puppet Legba. You're a joke Mr Legless Legba. And don't accuse me of ad hominem attacks or personal abuse, it's about all you do except for a little Voodoo fyzix. Thanks for the good advice. New knowledge more. I have a lot of ideas. I didn't realise that the lettuce and cucumber we so closely related, one would almost think they were con-joined twins, or just cons? One is technically a fruit, but, he needs to work that out on his own. Here is hoping moderators are on the job. Check the IP, too. I'm trying to imagine the kind of human being that would write such an insane post. But I can't, hence my persuasion that you are an AI algorithm. I'm asking you to actually address what has been said rather than repeating the same refuted crap. Since you seem to have no interest in discussing the prior tangent after you have been shown to be wrong beyond any sane doubt, perhaps you can address the image in the OP. It's all you are programmed to do. Everyone knows this, botty boy. You continually repeating the same pathetic crap instead of answering the question doesn't mean I am asking you to do so. What causes the curve in the image in the OP? If you can't, then get lost. 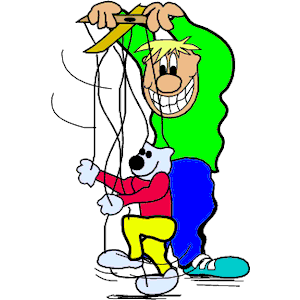 The Idiot Voodoo Puppet on a String could save everybody's time by just not replying. That would be make sense, something that seems totally lacking in the Idiot Voodoo Puppet on a String. A rocket and its exhaust do not move as a single entity. The mad AI algorithm lies blatantly. The exhaust of a rocket is a force exerted by the rocket itself and moves with the rocket at all times. The simplest of observations proves this. No further communication is possible with the mad lying AI algorithm. Since then you have gone mental, as you know you have no plausible response. No. That is where you avoided it yet again and provided more evidence that you are wrong. The rockets are burning fuel, producing exhaust, yet the same amount "stays" with the rocket, indicating the rocket is continually ejecting that exhaust. In order for you to provide a video showing me to be wrong, you need to show the rocket after it has burnt all its fuel, with all of its exhaust, still attached. But you will never do that because it doesn't happen in reality. Now as you are not interesting in any honest response to that and it is already in another thread, deal with the image in the OP.